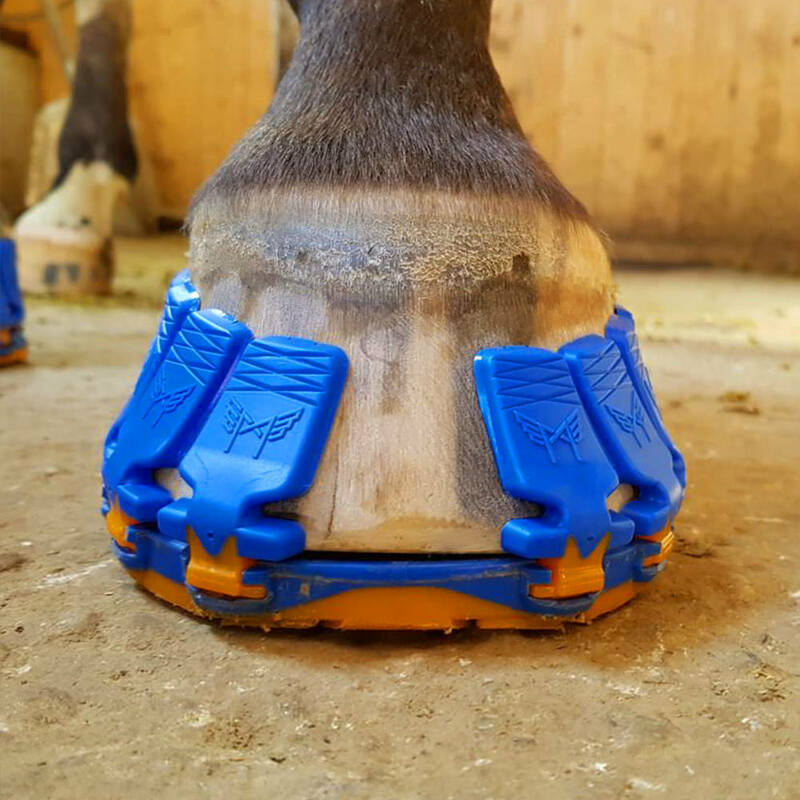 SIMPLE, GENTLE AND DO IT YOURSELF: PERMANENT HOOF PROTECTION WITH THE MEGASUS QUICK'N'STICK! 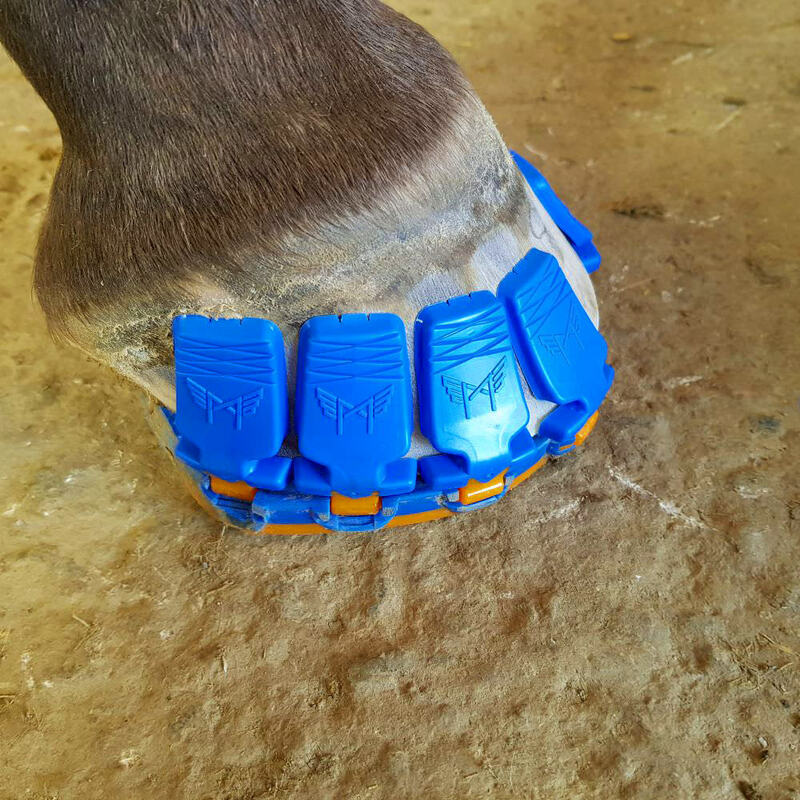 A hoof protection that can be glued on just like a band-aid: can it be? Thanks to our patented fastening system, you can glue the small Mega-STICKS directly on the hoof. 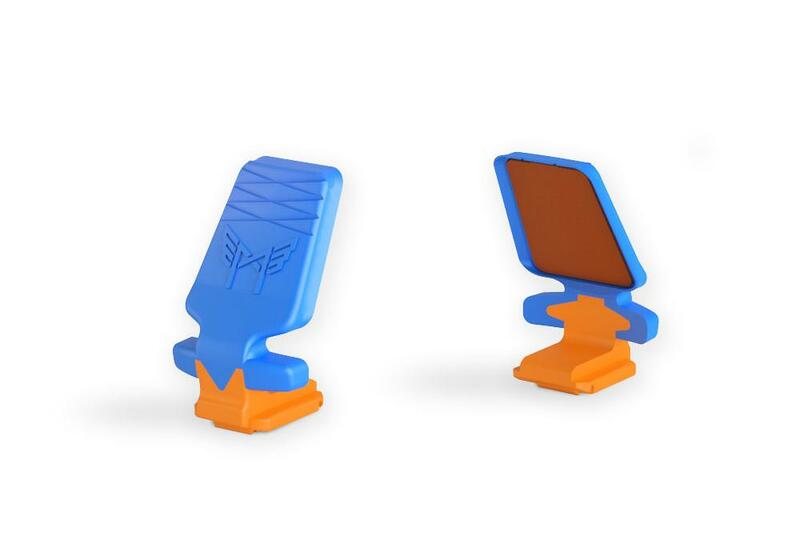 The Mega-STICKS are made of an extra strong one-component adhesive tape and are glued onto the inside of each of our Mega-STICK Side-Clips. 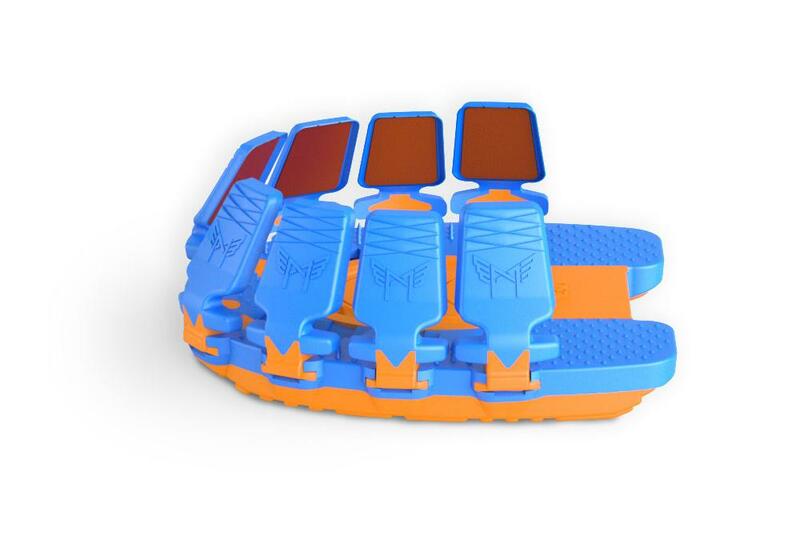 Customize the Megasus Horserunners, apply primer to the hooves, remove the protective strip from the Mega-STICK Side-Clips, press them on the hoof and you’re done! THE SPECIAL DOUBLE-SIDED ADHESIVE BAND OFFERS A UNIQUE AND SIMPLE PERMANENT PROTECTION. 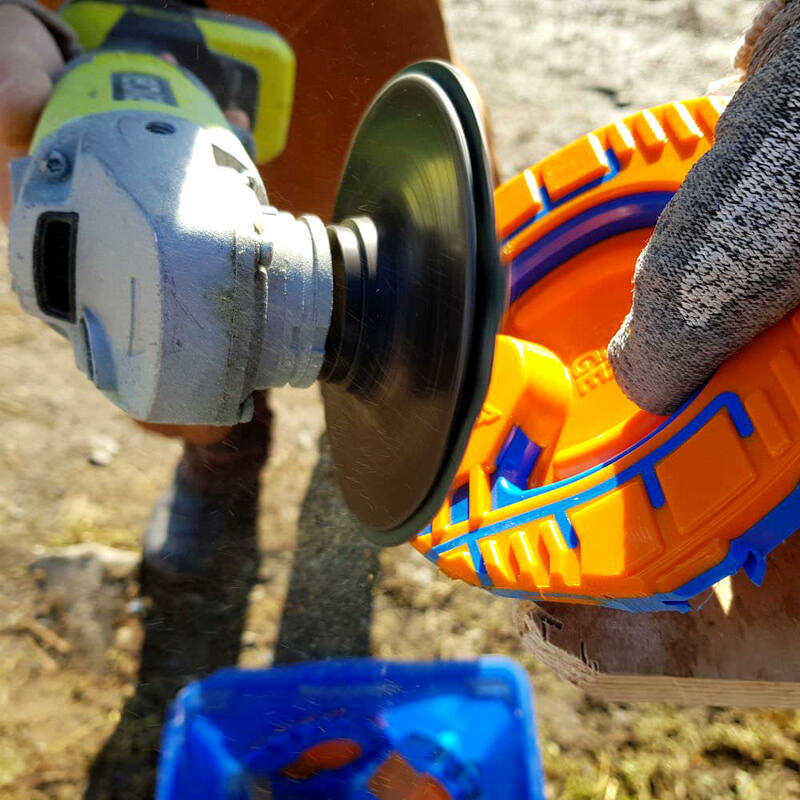 The Megasus Quick'n'Stick in the Mega-STICK System is the ideal DIY solution for handy horse lovers, who need a lasting hoof protection, which is quick and easy to work with. Permanent hoof protection was never so uncomplicated and practical: Remove the protective film and stick them on! The special double-sided adhesive band makes it possible. 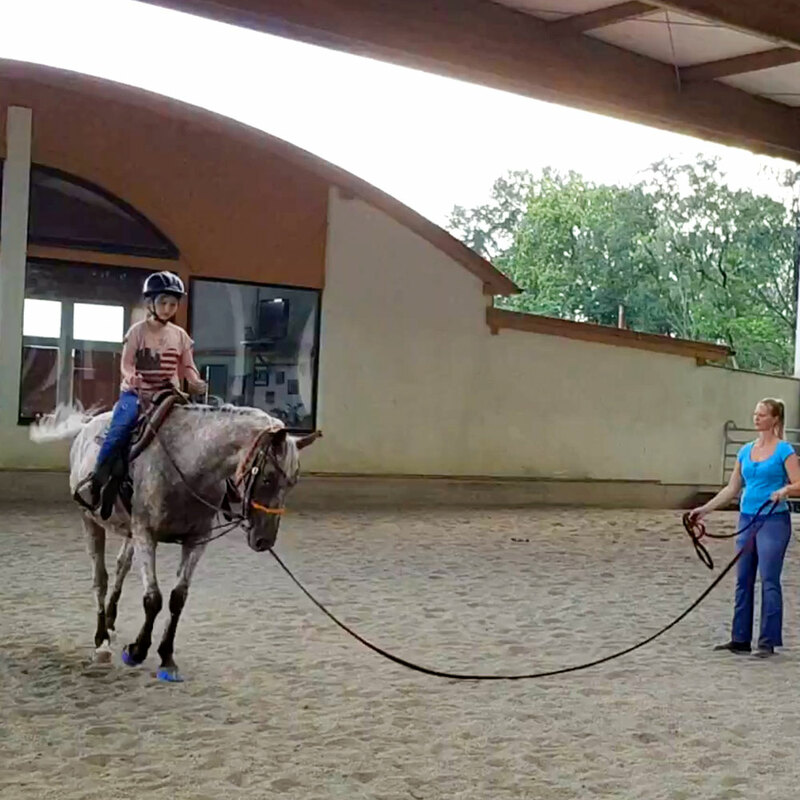 Whether for an upcoming trail ride or for hands-on horse lovers: the Megasus Quick'n'Stick is as easy as it looks. TAILOR-MADE SPORTS SHOES FOR YOUR HORSE. Your Megasus are fitted to your horse and not the other way around. horse's hooves. For a solid fit on any surface. It makes gluing fun! No mess, no spilling: Just peel off the protective strip like you would with a band-aid, press firmly to the hoof and you’re done! Your Megasus Horserunners look sharp with the Mega-STICK system: the sealing lips of the Mega-STICK Side-Clips enclose the Mega-STICKS and protect them from dirt and water. This ensures a secure, lasting hold and looks great. The Mega-STICKS are one-component tapes and are non-invasive. The adhesive family is similar to medical bandages, but a little thicker and are much stronger and stable. This spares the horse’s hooves and is a great alternative if you need a permanent hoof solution, but don’t want use a 2 component glue. If you possess a bit of craftsmanship and know how to work with a jigsaw and various tools, mounting your Megasus Horserunners with the Mega-STICK System is not a problem. The Mega-STICK System allows you to mount your Megasus Horserunners in minutes. This DIY variety offers you permanent protection. TIP: TO HELP THE HOOVES RETAIN THEIR FORM! We recommend removing the permanent Megasus Horserunners after about 4 weeks, depending on hoof growth. Your horse’s hooves have certainly grown and it’s a perfect time to go barehoof for a bit or re-mount the Megasus. If you decide to let the horse go barehoof, we recommend waiting a little bit before trimming. Your horse can then ride away some of the overhanging horn material. This way, the hooves won’t get too long or too short and they can retain the same shape for the entire year. This spares the horses musculoskeletal system and strengthens the tendons, ligaments, and the hooves.